I was born and brought up in Yorkshire and it was there amongst the wonderful countryside that I developed an appreciation of plants and later where I began my career in horticulture. Although I can come to tears listening to a piece of music or be moved looking at a painting, it was and it remains, the natural world that nourishes and inspires me most deeply. Coming from a family of great naturalists, it was no surprise that as a boy I would spend most of my time in the nearby dales seeking out the beautiful and the natural. From the incredible weathered detail of limestone pavement to the exquisite flower-rich meadows of Swaledale. This repeated study over many years of flora and fauna of a specific habitat was fundamental in teaching me patience, observation and helped to sow the seeds of a life-long love of plants. I began my gardening career in 1987; it was at Harewood House between Leeds and Harrogate. It was tough – I had to get up at 5 in the morning, catch two buses and walk down a mile long drive before spending the day as the garden boy – washing pots, but I loved, absolutely loved every minute of it. Later, after some time at college and working at a garden caring for the National Collection of Delphiniums, I joined a landscape design company, working mostly on one garden in northern France, restoring original features and implementing new design. It was in 1990 that I joined the National Trust and apart from a year as curator with the Royal Horticultural Society at Hyde Hall I have spent most of the time since 1990 working at three NT gardens – two of them – Sissinghurst and Bodnant twice, working both as a gardener and head gardener. At the same time, I have been fortunate to get involved in other things, and I am grateful to the NT for allowing me some freedom to do so. I have worked at the Royal Botanic Garden Sydney and I designed the floral colour spectrum at the Royal Botanic Garden Kew. I became interested in photography and was awarded the RHS professional photographer of the year and I continue to enjoy writing and talking about plants and gardens. However, for me, it’s having a deep, basic and enduring connection with a garden that is most rewarding. A vague knowledge of a garden or a superficial approach to gardening just doesn’t work; instead one needs to cultivate an intimate relationship with a garden to understand its unique ‘spirit of place’. My first meeting with Sissinghurst was more than a quarter of a century ago, working for five years as a gardener honing my craft. Nearly two years ago I returned to Sissinghurst as Head Gardener. Immersing myself in the garden, I have slowly developed a way of gardening that places beauty and romance first. To help me do this I have a team of gardeners, which includes five full time and two part time gardeners, plus a propagator. After 15 years working as a Graphic Designer, I realised I wanted to work outside and be closer to the natural world. 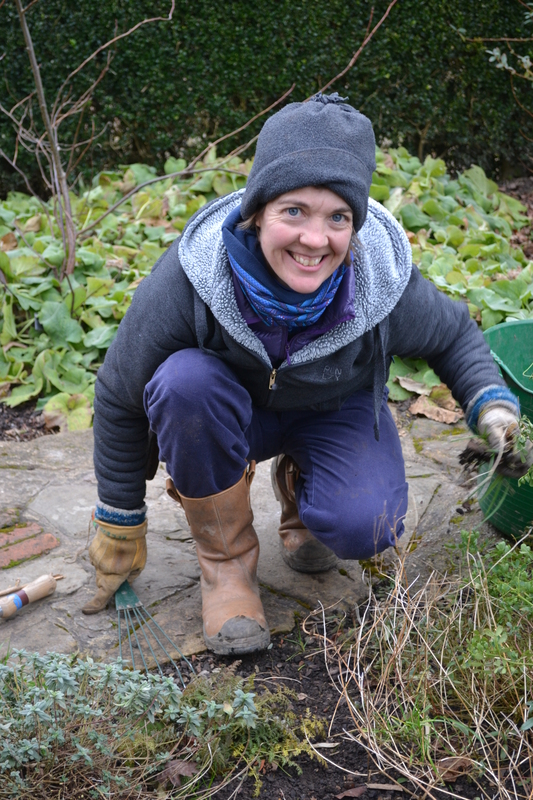 Initially I volunteered at Avebury and Prior Park before taking the plunge and returning to college for the second time, to study for a National Diploma in Horticulture at Wiltshire College, Lackham –close to the beautiful National Trust village of Lacock. About a year after graduating I was offered a job at Sissinghurst and have now been here for 10 years. Needless to say, I love it. My taste in plants tends towards the wild or more natural looking plants, but everything has its own value and purpose. Following a few years in the computer industry I decided that I wanted to have a career in something I was interested in and having grown up on a farm, being outside was important to me. 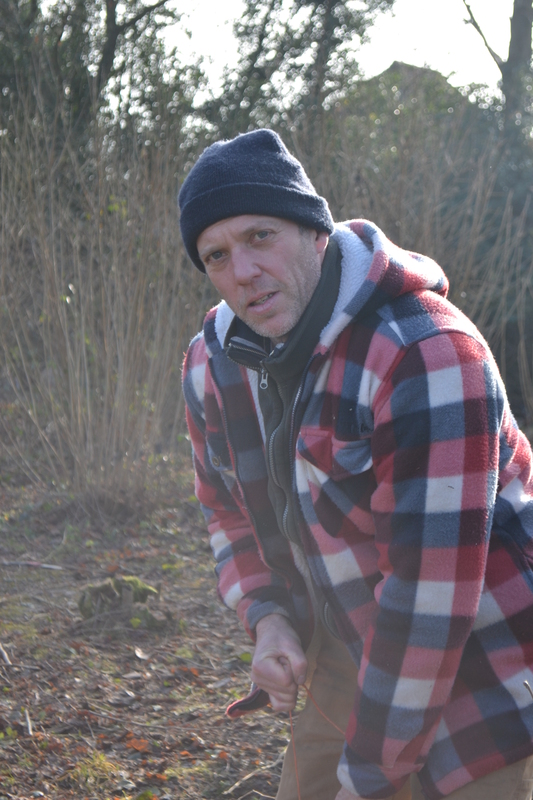 This led me to start a gardening career and in 1988 I got a job with the National Trust at Cliveden in Buckinghamshire whilst training at Merrist Wood College. In 1999, I came to work at Sissinghurst, returning to the area I grew up in, and in 2004 I became Assistant Head Gardener. One of my jobs is to look after all our garden volunteers from rose dead headers to flower arrangers and from those who come for an hour or two to those who work with us for a whole day. I love this time of year at Sissinghurst, the emerging shoots, breaking buds and birds singing remind me that winter is coming to an end. My first career was as a children’s nurse and I spent 14 happy years working for the NHS in different London hospitals on various wards, finally ending up at the supra-regional paediatric liver unit at King’s College Hospital. However, I decided to take a career break after the arrival of my third child, and despite the trials of gardening with three boys who liked football, bikes and light sabres, my love of gardening continued to grow. As the boys became older, I took the opportunity to study for my RHS exams at Hadlow College and to volunteer at Sissinghurst and Great Dixter, with the aim of becoming a gardener when the boys were all at secondary school. All this took about five years to achieve and when a part-time job was advertised, I went for it and was delighted when Lex offered me the job. I’ve now been working here for 3 years and it’s definitely as good as I thought it would be. My favourite area of the garden is the Rose Garden as I love old roses, irises and peonies and the Rose Garden is full of them. On a Thursday morning you will find me working here doing my weekly ‘sweep’ which I really enjoy as it gives me a chance to roam around the roses for a while. 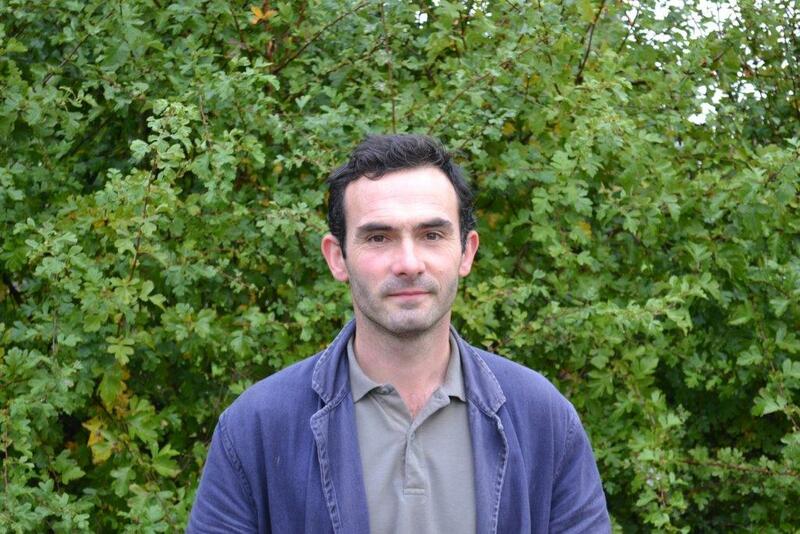 I’m also the editor of the Sissinghurst gardener’s blog and enjoy writing articles for it too. In the future I’d like to do some more studying, probably in garden history, but not until the teenagers have flown the nest! I have been working at Sissinghurst for a year now and I feel it will be a lifelong passion. I studied for my RHS level 3 diploma in Horticulture at Plumpton and was proud to be awarded the college trophy for Top Horticulturist of the Year. I love design and planting based on a more natural and informal setting and am a keen advocate of the creation of meadows. I am currently working on our outside areas; behind the shop and by the Oast are two where you may have noticed work has begun. I am also working to improve the wildflowers within the orchard and last year we had our first flowering of yellow rattle. I am keen to travel the world in search of plant knowledge and inspiration and feel gardeners can really benefit from such experiences. I have been lucky enough to have been awarded the Christopher Lloyd bursary which will fund my travel to Slovenia and the Scotland to take part in the International World Flower Festival. Future locations will hopefully include the Valley of the Flowers in the Himalayas, Primulas in Tibet and the Prairie gardens of America. Later on in the year I will be writing about my experiences in Slovenia. 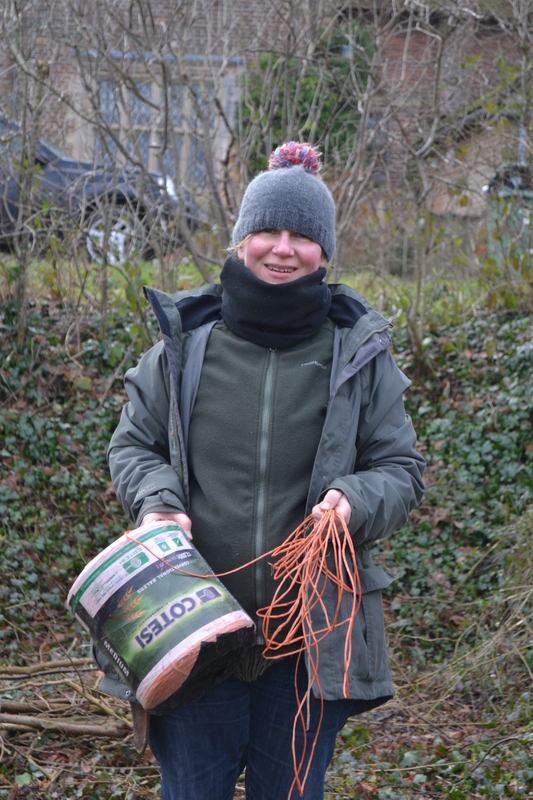 After finishing Art College I decided I wanted to work outside in the countryside and realised gardening could provide both a creative and outdoor lifestyle I would enjoy. In 1999, I enrolled on a heritage horticulture course at Otley College during which I became a part-time trainee gardener on the Sandringham Estate. 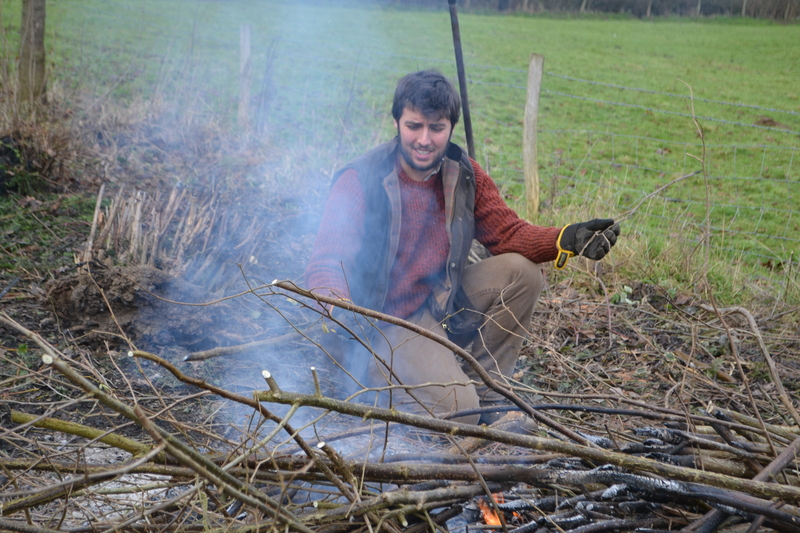 I continued there as a full-time trainee for a further year before gardening at a private estate nearby. In 2002, I started working at Sissinghurst and have enjoyed gardening here ever since. I love the wide variety of plants and how creatively they are displayed in the borders and trained on the brick buildings. Some of my duties include renewing broken plant labels in the garden and creating flower arrangements in the tower and library. At present I sweep the Top Courtyard on a Friday morning. My first gardening job was at Smallhythe place and from there I went on to private gardening and working around London gardens at places like the Royal Honourable Society of Middle Temple. When I found out about the garden careership programme I jumped at the chance to work at Sissinghurst. I started my 3 years training in 2011 and achieved RHS level 2 and a level 3 heritage gardening diploma as well as various horticultural tickets. In July 2014, I took on the role of head of formal lawns and machinery at Sissinghurst (Monday – Wednesday) and developing the garden at Smallhythe Place (Thursday – Friday). This has been a big step up from a trainee position but I have successfully made it through the first season of lawn care and machinery servicing. At Smallhythe, I have taken the lead in re-designing the rose garden and dealing with overdue maintenance issues. I am the new student gardener here at Sissinghurst. I’m on a 2 year placement which began in September 2014 and is part of the Historic and Botanical Gardens Bursary Scheme. During my time here I will be learning about all aspects of gardening within a historical context and will also be studying for my RHS Level 3 Diploma in Horticulture. This is a complete career change for me. In my previous working life, I worked in mental health and homelessness and trained as a counsellor working with young people and people with substance misuse issues. After many years of working on the ‘frontline’, I decided it was time for a change. I retrained at Plumpton College where I gained a Level 2 Diploma in Horticulture and volunteered 1 day a week in the vegetable garden at Bateman’s House. This was a wonderful experience and introduced me to the world of historic gardens. When the HBGB scheme opened for applications I jumped at the chance to work full time at Sissinghurst; one of the most beautiful gardens in the country. I have been working at Sissinghurst for the past 17 years, and lived on site in Gardener’s Cottage for the last 10 years with additional evening security duties. I came to Sissinghurst in 1996 having trained at Askham Bryan College of Horticulture near York. I have previously worked at Leven Hall, a garden in the Lake District famous for it’s topiary and at the Botanic Gardens of Reading University. I also worked briefly on a goat farm in France and have managed to spend as much time as possible travelling the world! 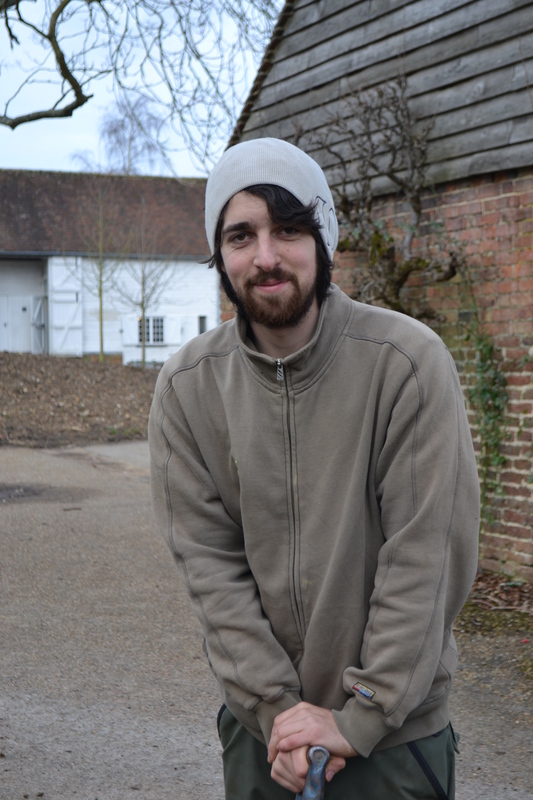 During my time at Sissinghurst I have worked under three Head Gardeners and seen a few changes. I love all parts of the garden, changing my mind daily on which could be my favourite but the Nuttery, the Cottage Garden and the Purple Border never fail to please me. One of my duties here is the care of all the pots in the garden from planting them up, keeping them fed and watered to moving them around the garden.